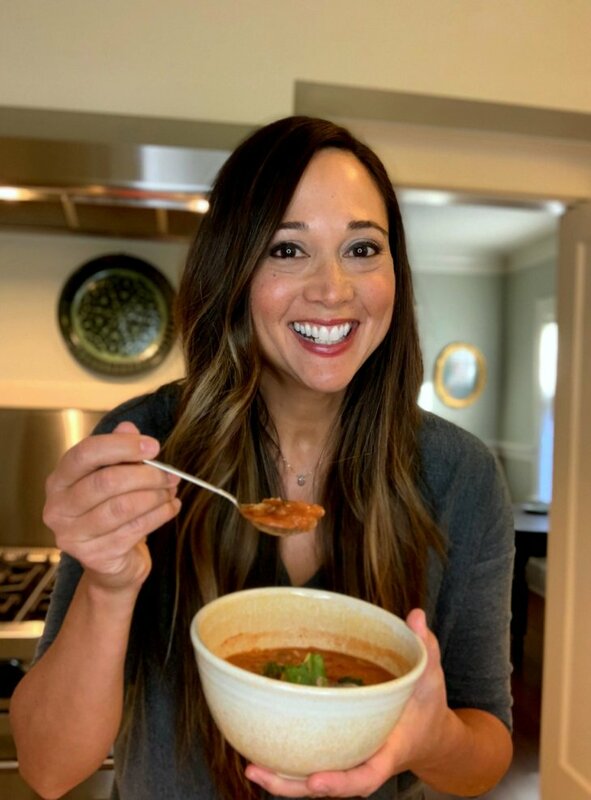 I first fell in love with Tortilla Soup through Ina Garten’s cookbook, Barefoot Contessa at Home. However, over the years, I became less interested in chicken, which is used in most Tortilla Soup recipes and restaurant preparations. Eventually, I just decided to tweak Ina’s original recipe, and make a plant-based version. And boy, am I glad I did! My Vegetarian Tortilla Soup recipe uses pinto beans instead of chicken, which provides plenty of protein and fiber for this satisfying soup. No chicken, no problem! As with most of my soups, I like to serve Vegetarian Tortilla Soup with a variety of toppings. In this case, I like chopped avocado, radish, cilantro, and, as always, by beloved Cholula hot sauce. Heat the avocado oil in a large pot or dutch oven. Add the onions, celery, and carrots and cook over medium-low heat for 10 minutes, until the onion starts to brown. Add the garlic and cook for 30 seconds. Add the chopped jalapeños and sauté for another 30 minutes. Add the vegetable stock, tomato puree, cumin, coriander, 1 teaspoon salt (depending on the saltiness of the stock), 1 teaspoon pepper, and the cilantro, if using. Add the pinto beans and season to taste. 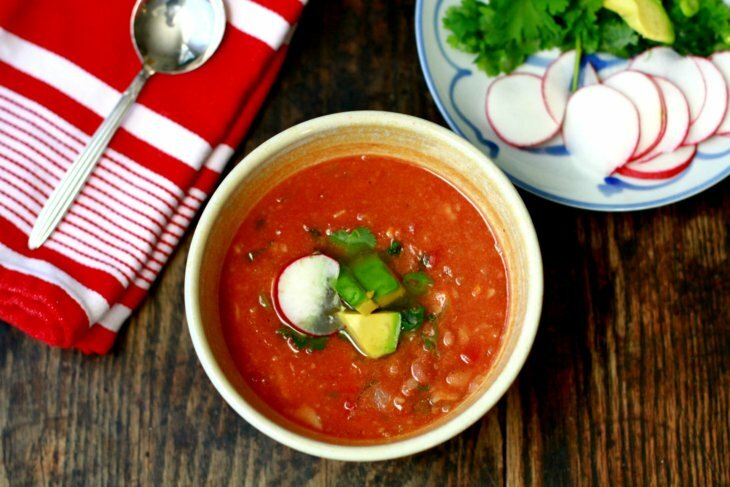 Serve the soup hot, along with sliced radish, chopped avocado, cilantro, hot sauce, and lime wedges on the side.